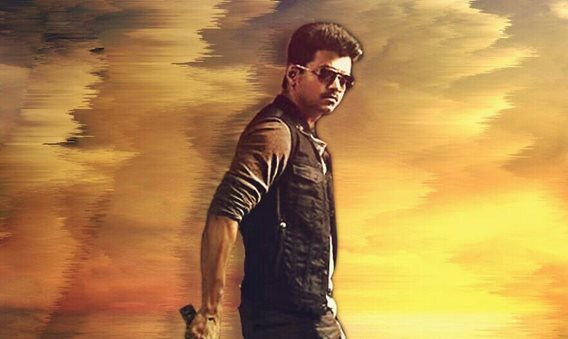 A guessing game is on as to what will be the title of Vijay’s 59th movie. While some say the film will be named ‘Khaki’, others say the title will be ‘Vetri’, as it is the name of the character played by the ‘Ilaya Thalapathi’ in the flick. Meanwhile, the buzz is that the title and the first look poster of the much awaited film will be released on Deepavali day, in a bid to up the festival mood of Vijay fans. “Vijay has made a request to the makers of the movie in this regard and they are working on it,” sources said, adding that the first look poster is being designed in such a way that it strikes an instant chord among the eager fans. Directed by Atlee and produced by Kalaipuli S Thanu, Vijay will be seen as a police officer in this film. Samantha and Amy Jackson are the heroines, while music by G V Prakash Kumar. Veteran director J Mahendran is said to be playing the villain.